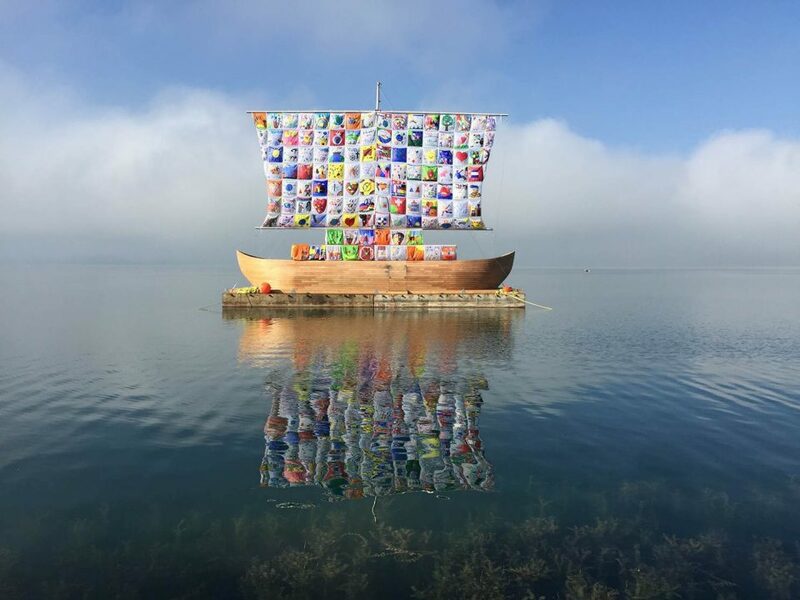 In March, we’ll gather to see the magical models of Ilya and Emilia Kabakov’s“The Utopian Projects” at the Hirshhron Museum, followed by coffee and conversation at the newly opened Dolcezza cafe in the building. Acclaimed Russian-born American artists Ilya and Emilia Kabakov have been working collaboratively for nearly thirty years. Although built with unbridled imagination and optimism, their installation-based works are directly inspired by the hardships, surveillance, and suspicion they endured while living in the Soviet Union. Spanning the years between 1985 and the present day, The Utopian Projects features more than twenty of the Kabakovs’ maquettes and whimsical models. Engaging projects both realized and unrealized, this exhibition includes monuments, allegorical narratives, architectural structures, and commissioned outdoor works. We’ll be dressed in our Sunday best (Rorschach t-shirts and inkblot buttons) and meet everyone at the Independence Ave. entrance to the museum.